It’s flu and cold season. That means people in Japan are wearing sickness masks in public. Either they are ill or are trying to avoid a cold. The default is still the white sickness mask, but recently, black ones are becoming more popular among the country’s youth. This recent trend in Japan appears to be K-pop powered. Black masks became popular because they could be a fashion accessory. White masks looked like something for patients or hospital staff. 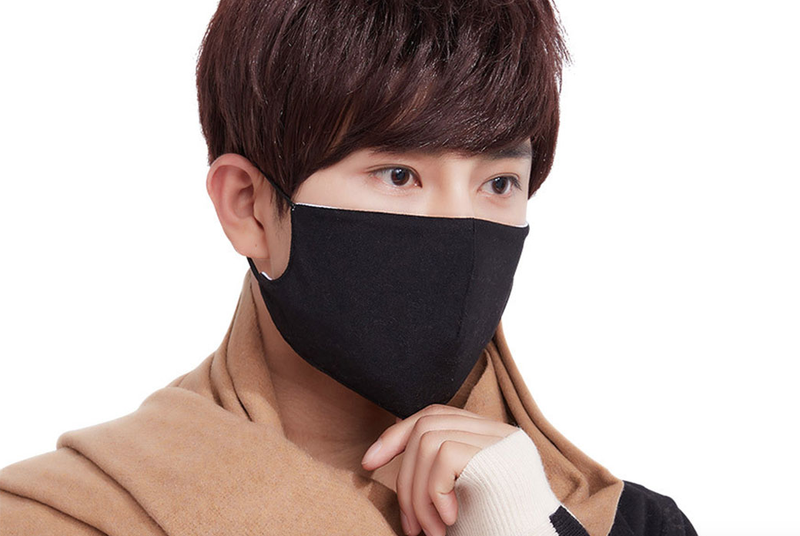 Other reasons for black masks’ popularity include that they make your face look smaller (a desirable trait in Japan and South Korea) than white ones do. Another reason is that some masks have charcoal filters and claim to better protect against airborne illnesses. Then there is the way black masks can suit certain outfits. The dark masks first started to catch on with K-pop fans in Japan as well as visual-kei types around 2014 and 2015. In Japan, the masks were promoted as being “all the rage” in South Korea. They also seemed targeted at visual-kei and goth types. Some Japanese pop stars, like Tsuyoshi from Kinki Kids, started wearing black masks, much to the delight of fans. Members of the Japanese boy band Kis-My-Ft2 also ditched their plain old white masks for the sleeker black ones. Now, black masks are slowly starting to reach a wider audience. Within the past few months, Japanese TV programs have introduced the trend. Josei Seven, one of Japan’s most popular and longest-running women’s magazine, recently did an article on the “black mask boom,” drawing a direct line to K-pop fashion. This is a change for the way black masks were seen. During the past few decades, black sickness masks were considere unseemly. In Japan, the stereotype was the bikers and hoodlums wore black masks to cover their faces while raising hell. These masks weren’t for illnesses, but rabble-rousing. This could be why that until K-pop stars started wearing black masks, people in Japan mostly stuck to white masks. Korean pop stars helped soften the image black masks had in Japan. Now, these masks for fashionable Japanese youth, who are now wearing black masks to coordinate their outfits. While the black mask boom might be a relatively recent, originally, masks in Japan were black. For example, here is a pre-World War II “Banzai” branded black mask. This is not the oldest one. Black masks might not be new to Japan, but thanks to the influence of Korean pop culture, they have definitely become more visible in youth areas like Tokyo’s Shibuya and Osaka’s Amemura as well as in online illustrations.